Unless fingerpainting is your art form, a painter requires their brushes. Like a construction worker needs a hammer or a teacher who needs their textbook, an artist can do little without a paintbrush. However, for those who aren't entirely familiar with the art world, or for those looking to begin within it, you may be surprised to know that paintbrushes vary in quality. In some cases, the brush itself can be too coarse or soft and can actually affect the way the paint sits on the canvass. In other cases, a certain brush may be too absorbent and can soak in certain paint dyes. When you intend to paint with a different color, you may find this residue leftover, even after cleaning it, and that can have a huge impact on your painting. As such, finding high-quality fine art paintbrushes is a key step in creating your next masterpiece. The hair on the brush actually comes from a species of weasel known as a Kolinsky. It inhabits Asia. The best of Kolinsky brushes come from male hair, which has a finer edge to it than female hair. The majority of Kolinsky brushes, however, are a healthy mix of male and female Kolinsky hair. However, these brushes are actually rare and greatly valued by artists. They're prized in the use of dental ceramics, where they can achieve extremely realistic looks. Because of its rarity, it can be difficult to find somewhere to procure these brushes. Luckily, Dynasty Brush is just such a company that sells Fine Kolinsky paintbrushes. 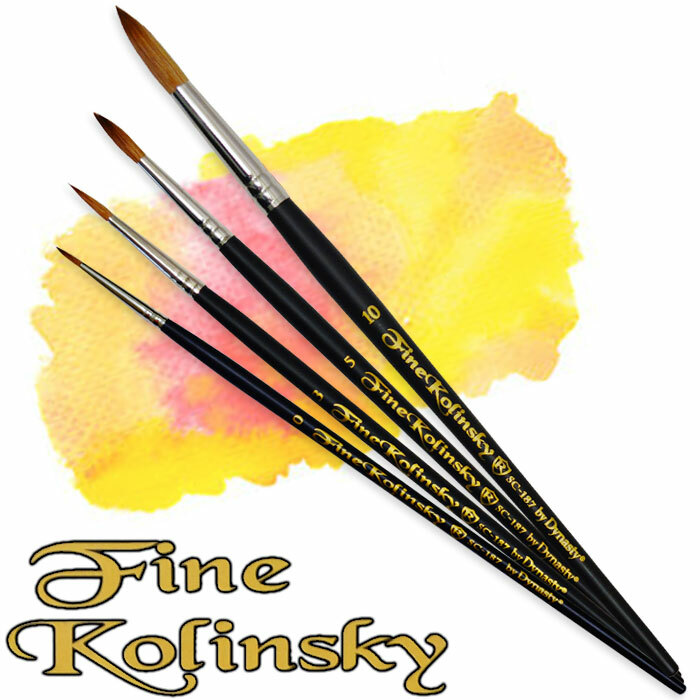 With its characteristic dark color, the Fine Kolinsky brush can be utilized to make the finest in fine art. The brushes Dynasty Brush offers come with a durable and sturdy white birch handle that also comes with an elegant black finish. These brushes are best used for watercolors and inks on canvasses. So, before you start painting your next artwork, make sure that you're using the best brush out there.